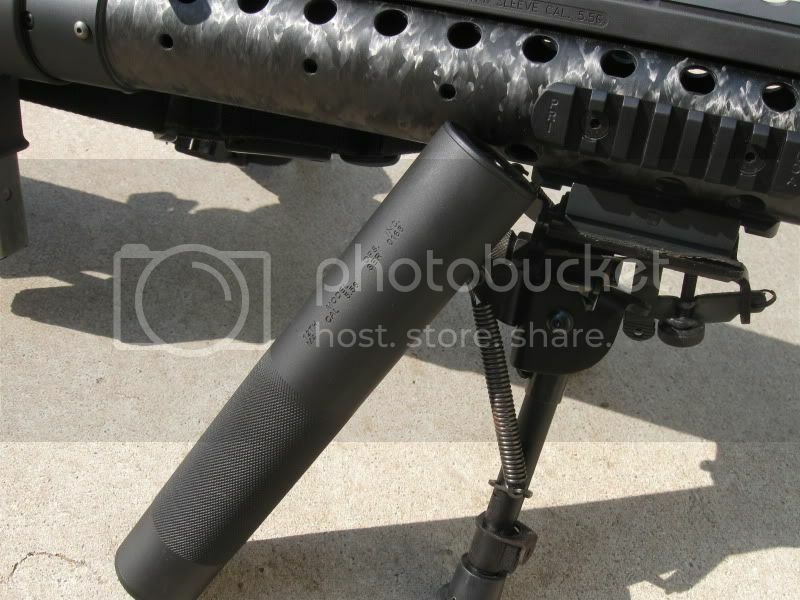 Carbon Fiber handguard? YES! YES! Thats a sweet little setup you got there for CQB! 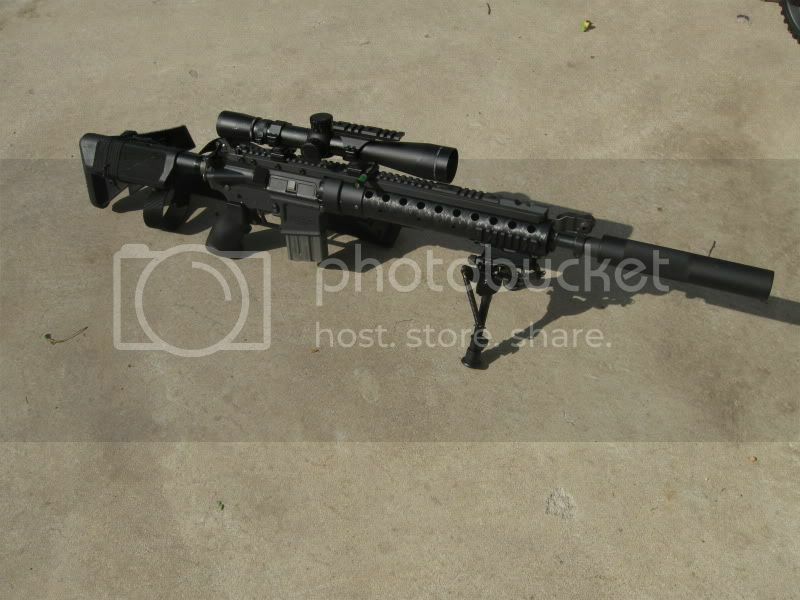 I think it would look pretty cool with one of these http://www.madbullairsoft.com/English/index.php?main_page=product_info&products_id=352 I have an m4 setup like that, not quite as short a front end though. It is most def a CQBeast. It spits them out around 30rps. I have it tuned to around 250fps. That way when I come around a corner and light someone up from slightly too close I don't feel bad. KTcerberus Holy *suitcase* man thats one badassed M4. Treats & snoozin', snoozin' & treats. Location:Miami, don't live here it's horrible, seriously. After WAY too much Army of Two, my buddy decided to see what we could zip tie to his M4...with great results. Screwdriver and foregrip? Sure. Later we ended up attaching Nerf swords, a ping pong paddle, and a ladle. He's doing an undercover border patrol loadout in these pictures. 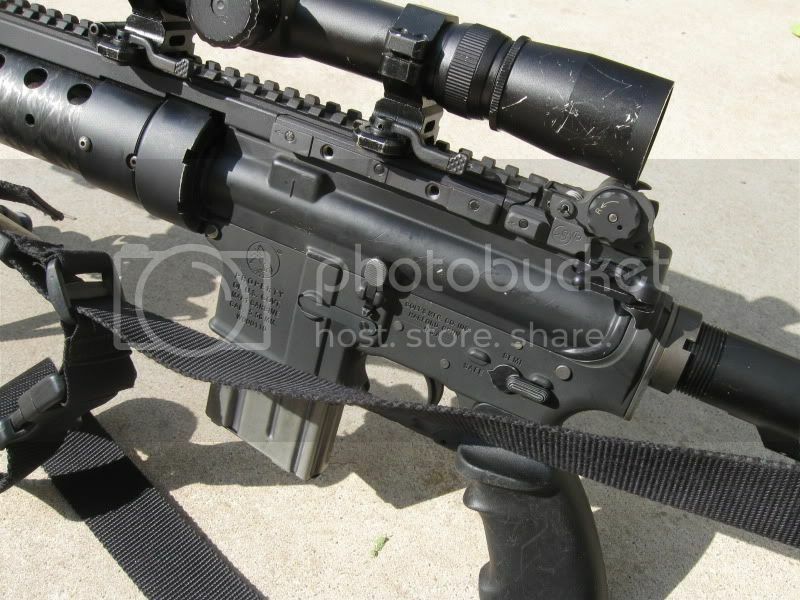 AR15 Picture Thread mk IX maybe ? Someone ? Beautiful rifle. 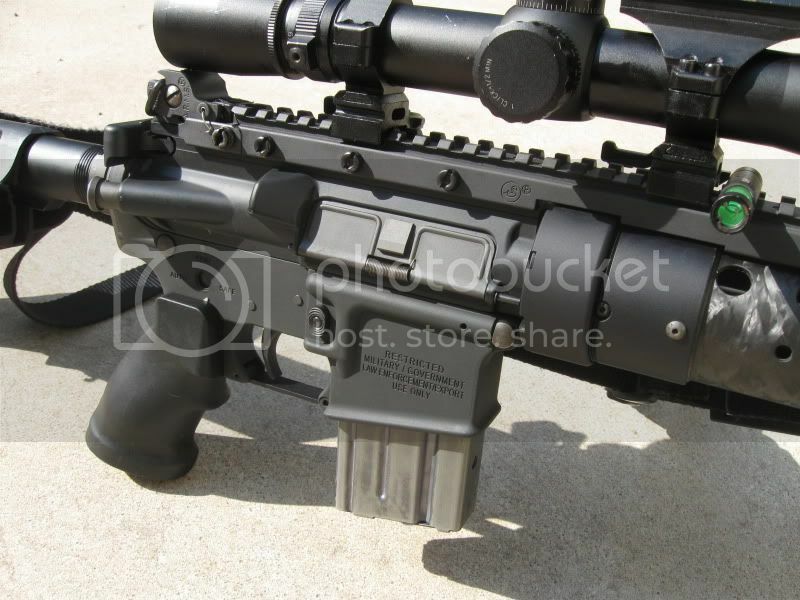 Is the handguard the real PRI or replica? 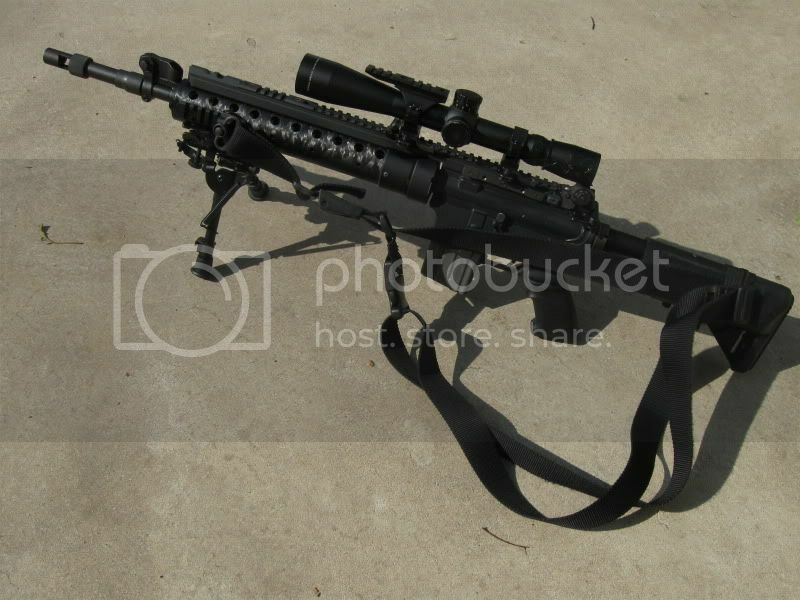 The 552 was thrown on there for fun and will be replaced with a M3 Scope. Also will be adding a Harris. Just noticed the American Flag is in the reflection of the 552 in the 3rd pic. Accidental but still cool IMO. 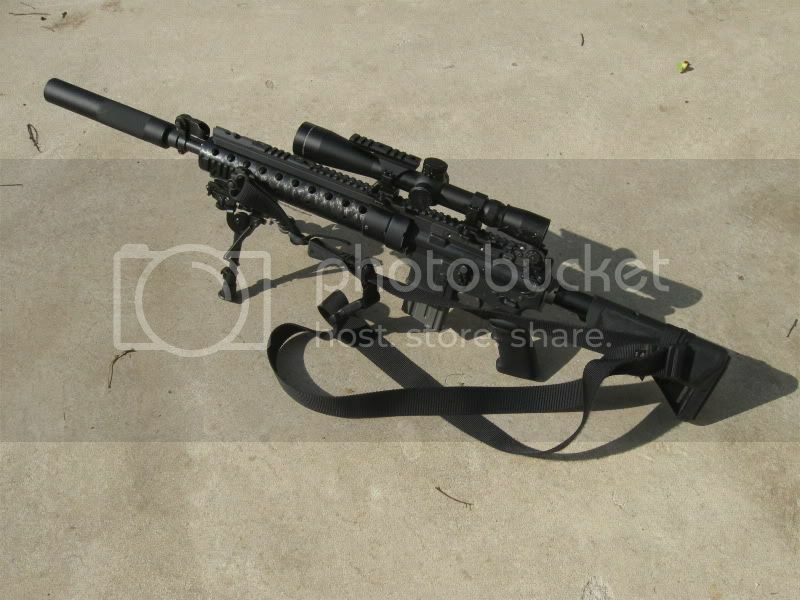 Hopefully will be getting another upper so I can swap between the SPR kit and this. Well GOD BLESS AMERICA for that lovely cameo of the flag. The gun looks great; love both of the uppers. 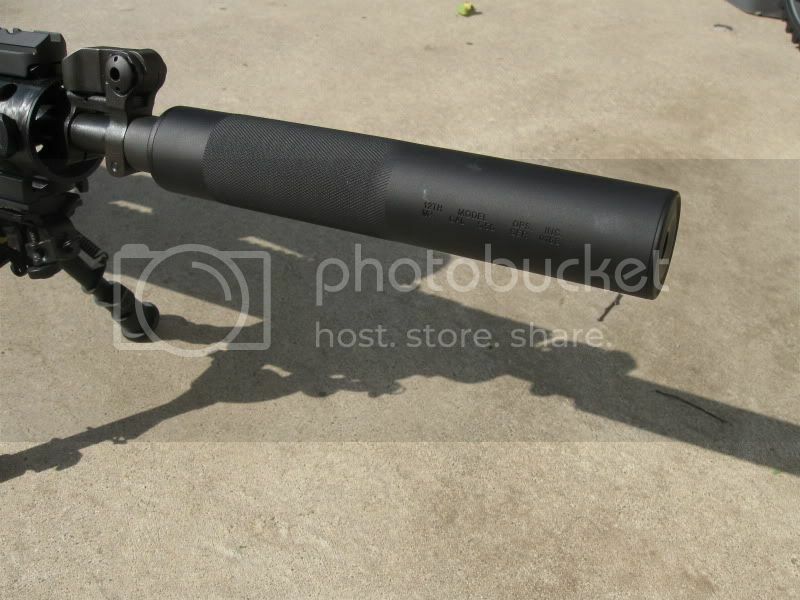 Mmmm, SPR's! Looks good nielgoth. Awesome SPR's - I've never been a huge fan of them but those 2 are really damn swish. Location:Belfast face down in a ditch. Finally got my FDE m4 back together, this time with a shorter length barrel making it a little more CQB friendly. Pictured with my noveske build. Great MOD 1 WhiteHawk. The MOD 1's have been growing on me more and more. Needs a multicam sling . Great paintjob. 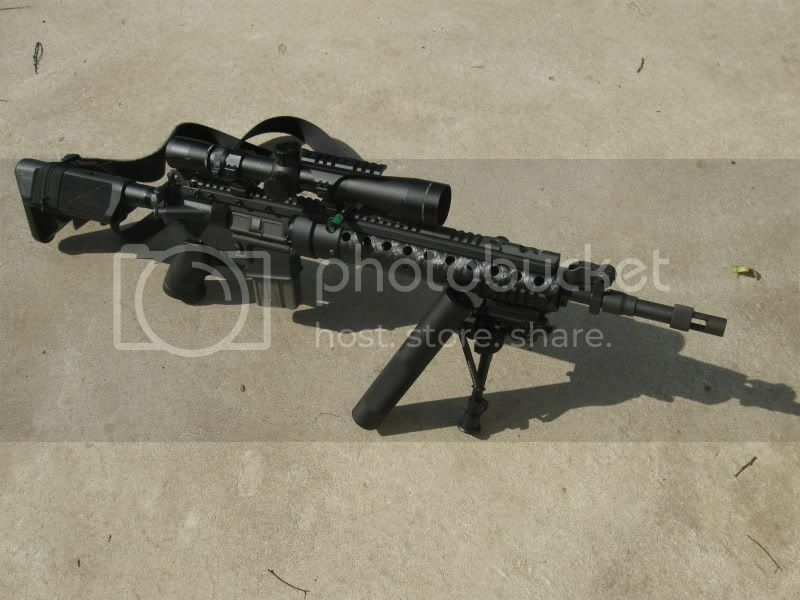 I wil get my old Multican Vtac sling back tomorrow Full credit to Soren / Nerøs from here . Heres is mine again for those not sick of the sight of it. 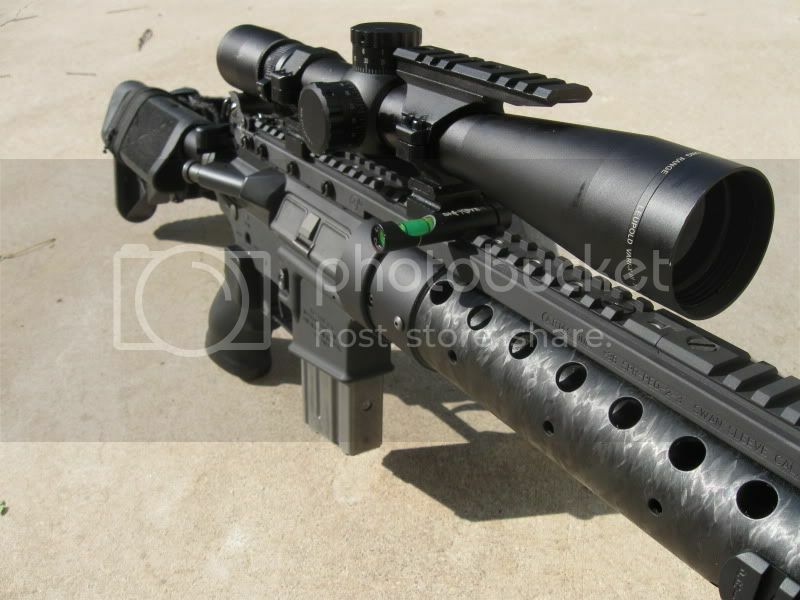 A Larue QD mount is on its way for the Acog. Looks to be a TM. No Wilson logo on the mag bumper pad.